It began with one simple remix. Colorado-based beatmaker/producer Lizard “Liz” Grove stumbled upon a track by Ottawa-via-Halifax alt-rap legend Jesse Dangerously she liked, applied her magical treatment and sent it back to him, much to his approval. Sounds innocent enough, huh? perception of Canadian hip-hop. With Liz providing the sonic foundation for Jesse’s often brutally confessional rhymes, the pair build on their mutual love of groundbreaking artists such as Aesop Rock and spin it off into strange, new worlds where it wouldn’t be out of the ordinary to hear Drake rapping with Neutral Milk Hotel. Just to back up a bit, Danger Grove really coalesced through the Nerdcore Hip-Hop Facebook group, which holds an annual competition that challenges a producer/vocalist team to create five original tracks in three-week intervals to be judged by their panel of experts. 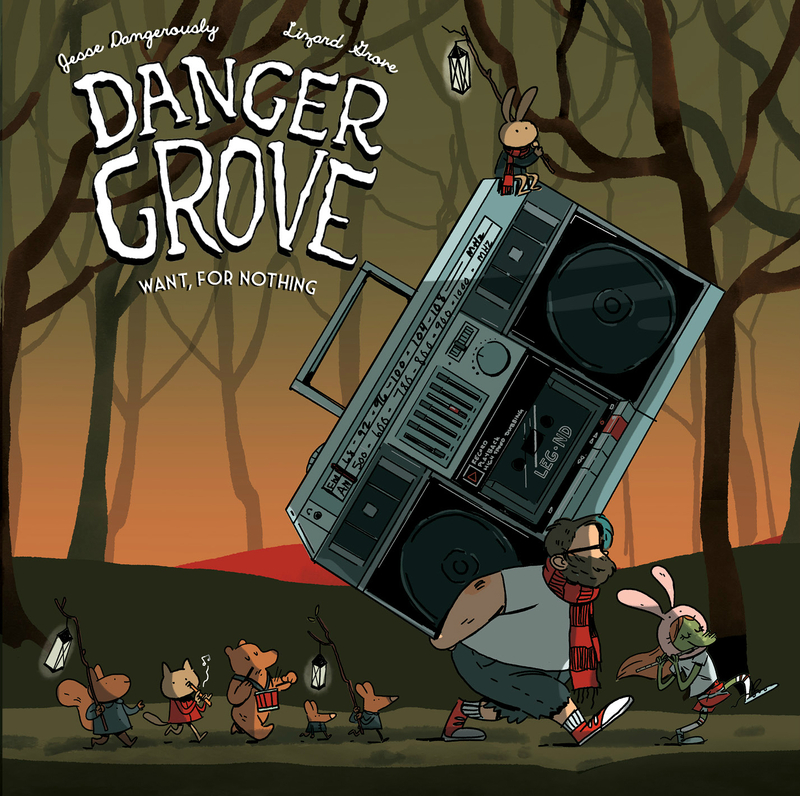 Despite facing stiff competition each round, Danger Grove was voted the overall winner for 2017, with the next logical step seemingly to release those five songs as an EP. However, with their creative juices now flowing, the pair put together additional tracks—several graciously featuring their Nerdcore Hip-Hop contemporaries—to flesh out a full album. What makes Danger Grove truly work is how these two artists who met online complement each other’s strengths so well. Danger Grove’s Want, For Nothing is indeed the beginning of a beautiful friendship destined to produce more exciting, powerful and unclassifiable work with the potential to shape the future of Canadian hip-hop for years to come. All are welcome.